BENEFITS OF OUR SERVICES	With	our	ever	changing and inflexible labour rules, a company needs to be kept constantly advised of complying with the laws as well as amendments to laws and the consequences therof. Most cases are lost at the CCMA/Bargaining Council because either incorrect procedure was adopted at the termination of the employment relationship e.g. the chairperson at the hearing was an employee of the company and therefore the objectiveness of the proceedings are put in question. With our services a company no longer has a concern in this regard. Our trained staff attend to all necessary diciplinary processes within the company. We are furthermore able to represent the Company at the CCMA/Bargaining Council and the Labour Court, which save management's time and expenses. We take the burden of ensuring compliance with other Labour legislation away from the Company. We take the stress of a Company having to deal with a strike/go-slow away from it. 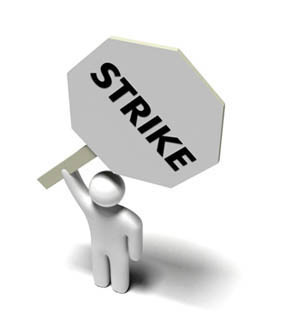 We attend at the strike and enter into negotiation on the Company's behalf. We interact with most of the large Unions in the Country on a regular basis, and accordingly have a relationship with them. We ensure that management staff are properly trained so that they have an understanding of the Labour processes. We ensure that all contracts, policies, procedures and codes are properly in place and that all staff are aware thereof. We are only a phone call away at all times, and Companies can get hold of our consultants on their cell phones. Thereby giving the client peace of mind that the issue at hand will be dealt with instantly.